There’s something just so stylish about our black sockets. They’re chic, svelte and effortlessly cool. That’s why we love this all black 5 amp socket. 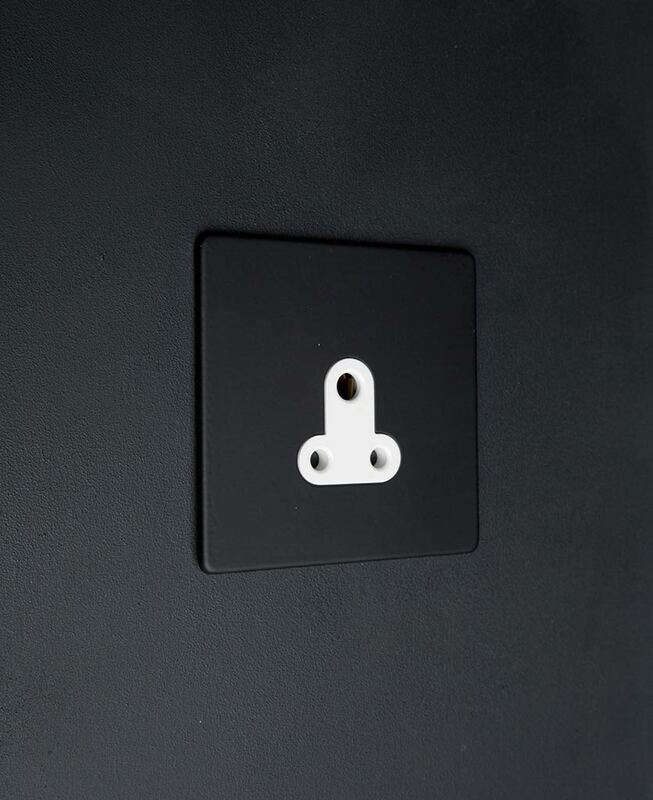 Featuring a steel plate finished in satin black and a choice of a black or white insert, this socket is perfect for contemporary, Scandi and industrial spaces, or anywhere else you want to show it off. Everyone knows that black is super versatile. We love it against matt white walls, where you can really add a sense of drama. After all, this designer switch deserves showing off. Our sleek 5 amp toggle switch black features a gorgeous satin black coated steel plate with a choice of black or white inserts. It’s perfect for adding drama to your interiors and a great way to banish those ubiquitous white plastic sockets that can ruin a carefully styled space. This simple yet unconventional switch is sure to be lusted after. We love this 5 amp dimmer switch against matt white walls in a minimalist space to really make a statement without being too conspicuous. But if you’re looking for something a little bolder, why not show off this unique socket in a dark interior to add a decadent vibe. 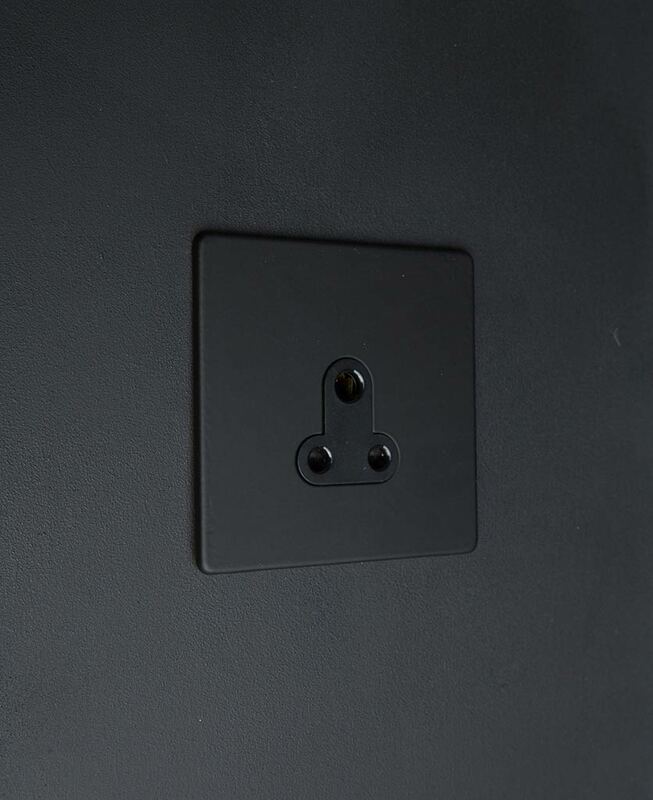 Moody grey, forest green and even black make a stunning backdrop for this all black socket. As part of our black sockets and switches range, this 5 amp socket can be coordinated with dimmer and toggle switches, USB sockets and even appliance switches to add a designer edge to your interiors. Exclusively created in-house here at D&R, you won’t find them sold by anyone else. 5 amp sockets are ideal for use in larger spaces where you have multiple lights to control and are perfect for restaurants, bars and hotels.